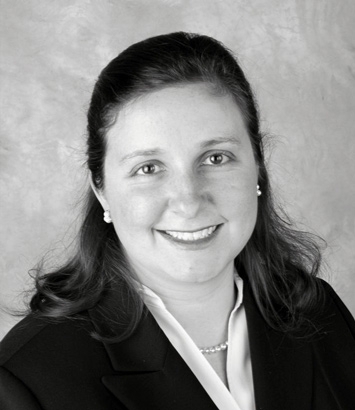 April L. Besl is an intellectual property attorney in Dinsmore's Cincinnati office. More of a partner than a legal adviser to her clients, April focuses her practice on non-patent intellectual property matters, including trademarks, copyrights, social media, Internet law, advertising and trade secrets. She services a large and diverse portfolio of trademarks and copyrights, domestic and worldwide, for a variety of clients ranging from Fortune 100 companies to individual entrepreneurs. She has experience assisting clients with emerging issues related to the impact of social media, the web and technology on their business and marketing strategies. April helps clients protect and enforce their trademarks, copyrights and other intellectual property from misuse via social networking sites, search engine optimization strategies, and keywords, as well as against misuse on mobile devices and other emerging technologies. In addressing these evolving issues and technologies, she provides a direct, strategic and thoughtful approach tailored to the culture and goals of each individual client. While April believes in working with both sides of a matter to find collaborative solutions to legal matters facing her clients, she knows when and how to vigorously defend her clients’ rights. She frequently appears in federal court and before the Trademark Trial and Appeal Board to defend clients’ non-patent intellectual property rights. She has successfully resolved cases in favor of her clients including in multi-million dollar intellectual property trademark disputes, Digital Millennium Copyright Act disputes, copyright ownership disputes, and licensing disputes. Clients appreciate April’s personable style and her responsive communication. She has been called “a pleasure to work with” and a “trademark guru” by her clients and peers. She approaches issues holistically – from both a legal and business perspective. Her family’s business and education in business management and organizational leadership enable her to see the bigger picture when a client is facing a trademark-related issue. April served as the president of CincyIP, an organization of intellectual property professionals from around the region, for an unprecedented five year term before serving as past president in 2017. She currently sits on the board of CincyIP as an elected member. She is also a member of the Trademarks and Domain Name and Social Media Committee of the Intellectual Property Owners association. April was recently asked to join the Women United (formerly known as WINGs) Steering Committee through the United Way overseeing the Women United program. In addition, she serves as the chair of CincyBrand, a highly successful conference for legal practitioners, marketers and business owners on the subject of branding and licensing that first debuted in April 2014.